Below is a brief summary of Pat's accomplishments. Please use the link below to view a complete CV. Pat holds a Masters' Degree in Education: Instructional Design for Online Learning and has extensive experience in Distance Education applicable to both secondary and higher education. She is currently working on planning projects, professional development for faculty and administrators, specific enrollment growth initiatives, and facilitating conversations among educators. Pat has led DE Program Planning and Implementation efforts at over a dozen colleges including her own, Mt. San Jacinto College (MSJC) in California. 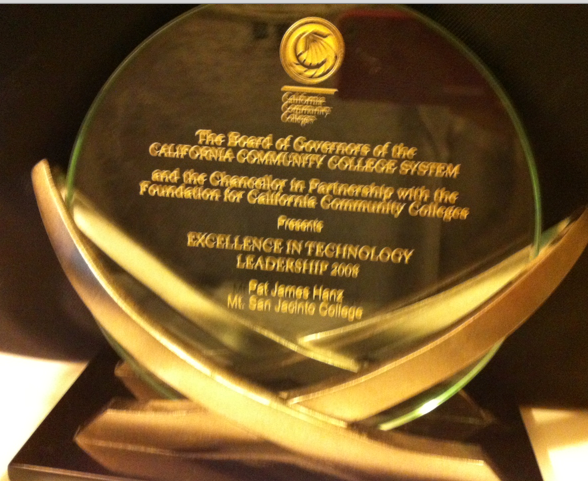 In 2008 she won the California Community College Chancellor’s Office Technology Innovator of the Year Award. In addition to her work in distance education, she has been a leader in developmental education and curriculum development within the California Community College System. Pat was a pioneer in online teaching with her Multimedia Production and Interactive Media online courses, which she taught for seven years. She then took on the job of Dean of both instructional technology and distance education at MSJC. She started the MSJC Technology, Teaching and Learning Professional Development Academy program, which now serves 500 participant faculty and staff, annually, and won the Chancellor's Office Technology Innovative Project Award in 2011. She has continued to teach faculty members how to successfully design and teach online courses and was instrumental in designing the @ONE Online Teacher Certification Program. Pat retired from her dean's position at MSJC in January of 2014 to continue her work in developing quality online educational opportunities for students. Her California State-wide service began in 2000 when she served as a California Virtual Campus mentor, then was in the Academic Senate for the CCC Executive Committee and chair of the ASCCC Technology Committee. She became the co-director of the CCC @ONE Professional Development project in 2009 and in 2013, led the CCC Distance Education Coordinators to the creation of their own organization. Her work in planning and implementation of the CCC Online Teaching Conference has resulted in the continuation of a vibrant conference that is held every June in California in a hybrid format. She was the lead designer and grant writer for "Crafting an Effective Writer", Coursera's first Community College Massive Open Online Course (MOOC). Her efforts resulted in MSJC receiving a Gates Foundation grant that allowed for the development of the basic writing course that, in two sessions, has served over 90,000 students across the globe. She recently served as the Executive Director of the California Community Colleges Online Education Initiative and is currently consulting in all things online learning. For references please visit the references page or contact me.